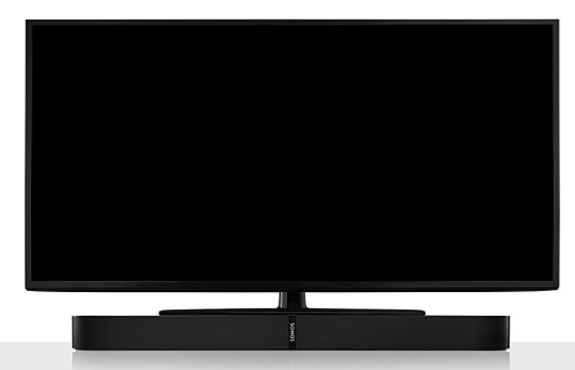 Last month, Sonos announced their new PLAYBASE wireless soundbar, which your TV rests on top of. Sales of the PLAYBASE launched yesterday in Canada, priced at $899 CAD. The speaker has 10 custom-designed drivers and amplifiers, consisting of three tweeters, six mid-range drivers and a subwoofer for bass. The speaker is made to hold up TV screens up to 60 inches in size and up to 35kg. Sonos says the design is seam-free, which means nothing vibrates or flexes in its solid design, even when holding the weight of your TV. The unit can pair with other Sonos speakers to create a 5.1 surround system at home. According to Walt Mossberg from The Verge, the PLAYBASE brings “great TV sound” with Sonos quality, but says the high price means there are other affordable options, for those seeking speaker solutions. But if you can afford it, he recommends it for its sound quality and ease of setup and use. Click here to buy the Sonos PLAYBASE from Amazon.ca for $899—It’s available in both black and white.